Chicago!!! 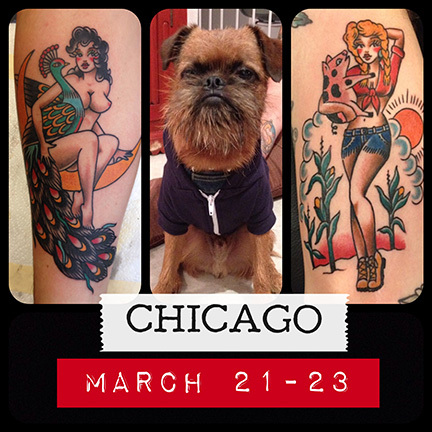 I’ll be makin tattoos with Tim Beck and my friends from Great Lakes Tattoo at the Chicago Convention March 21-23. Only a couple spots left. Get in where you fit in. Friday at 2pm or Sunday at 4pm. Email cdouglastattoo@gmail.com to set it up. This entry was posted on February 24, 2014 at 11:29 pm and is filed under chip douglas tattooing. You can follow any responses to this entry through the RSS 2.0 feed. You can leave a response, or trackback from your own site.